$532.03+ Girlfriend thinks its an office pc. This case is absolutely wonderful! Literally everything is perfect, I found no problems and satisfied me well enough! Lovely looking case, great internals. One issue I ran into however was that I didn't want to tighten the Standoffs too tight, which resulted in my Motherboard being too far off. I didn't feel comfortable doing it, but tightening them further made everything fit perfectly. Included case fans are remarkably quiet. You can barely hear them on the middle fan setting, and you can't on the lowest. I actually moved the front fan up to the higher slot, and removed the upper HDD tray so that I'd have more direct airflow. Fantastic case for a great price. Build quality and functions excellent. I was still worried about AMD cards overheating . 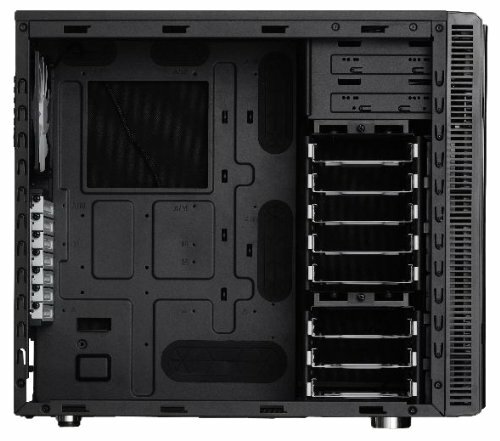 I picked this case because of the great airflow, two 140mm fans, and it has fan controller. 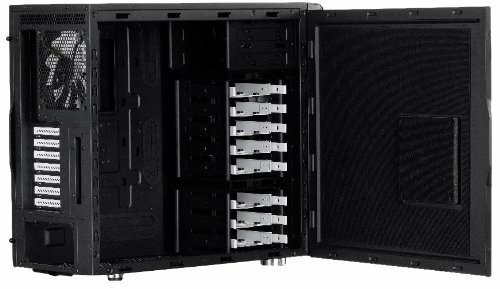 It's a solid case with great cable management space, and paddings all over the case to reduce noise. Really quiet case, very minimalist design (I like! ), easy to build in with grommets and cable management spots everywhere, great accessories (e.g. 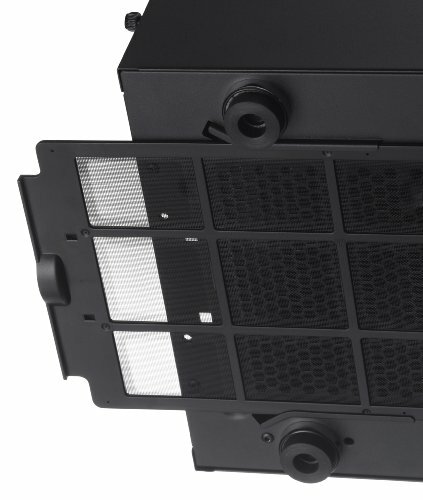 rubber mounts for Hard drives and fan controllers and plenty of sound dampening). But this case is heavy and only two 140mm fans are included. This was a wonderful case to work with. That's half the battle with these builds. Lots of space behind the motherboard tray, generous cable grommets, removable drive trays, lots of space. 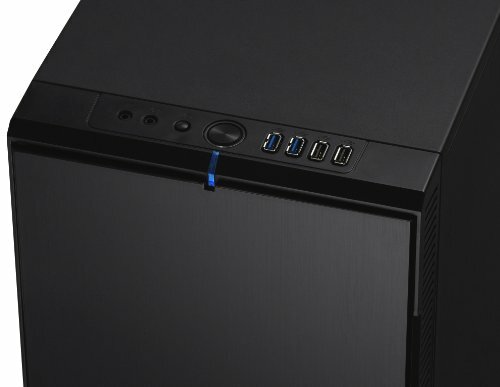 The Fractal Design Define R4 (Black Pearl) ATX Mid Tower Case gets my seal of approval.